World War ll. 1944. Summertime. 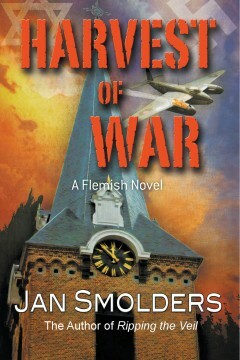 Dr. Bruno Van Dam takes care of the citizens of German-occupied Ramsel, Belgium, whatever their politics, resistance fighters, collaborators, or ordinary citizens. Matters get dangerous and complicated as the doctor fights huge odds to get his son freed using all, even questionable means. Two boys grow up during World War II, Gerard in New England, Morgen in Berlin. They live parallel lives: their families experience similar changes, similar suffering. The world says they are enemies. What makes an enemy? Why are people designated as enemies? If these two later met, what would they think of each other? WWII and the Hitler’s elimination of the undesirables alter the daily lives of both boys immeasurably. 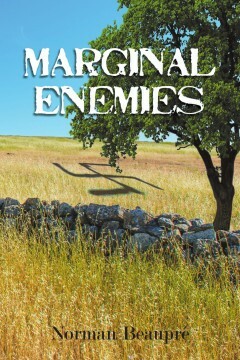 Morgen’s father, a pacifist doctor, deserts his own troops and escapes with a Viennese friend, himself a marked man. 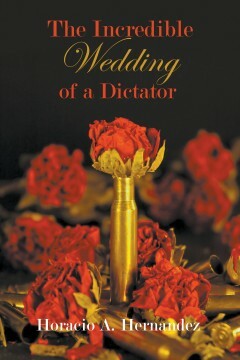 The parallel situations of the two boys and their families balance the two sides of the war. We see, not the propaganda, but the real effects the war had on civilians in both countries. We also see the ‘forgotten’ undesirables such as Gypsies, homosexuals, blacks and Japanese-Americans. Woven into all these lives is the quest for sanity and freedom from hatred. Norman Beaupré was born in Maine. He received a Ph.D. from Brown University and taught at the University of New England where he is now Professor Emeritus. He has traveled extensively and spent two sabbaticals in Paris. He is the author of 23 published books. He writes in English and in French. In 2008, he was awarded the medal of “Ordre des Arts et Lettres” by the French Ministry of Culture and Communications in Paris for his outstanding contribution to French culture. The Broken Harmonica is the compelling saga of Cornelius Wright as told in his own words: from his earliest coming of age on a plantation in the old South to his journey to freedom. Through nearly one hundred years of his life Cornelius tells the dramatic tale of his time spent as a soldier in the Civil War, forging a path toward the freedom he holds so deeply in his heart. Cornelius's personal struggles transform him, even after the freedom comes and he must continue the fight to find a way for himself and his family in the complex and divided world of the late nineteenth, early twentieth century America. 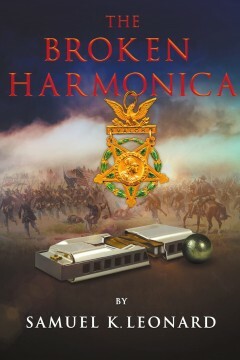 In the midst of it all is a harmonica, an instrument that becomes symbolic of his life, his trials and legacy. Samuel K. Leonard is the pen name for Joel Armand. He was born in Brooklyn, New York. He is a graduate of Mount Saint Mary College in Newburgh, New York with an MA in Psychology. In 2003 he earned a Master’s degree in Social Work from Temple University and has spent much of his life employed in the service of children and families. Joel resides with his family in New Windsor, New York. Tungee Cahill deposits gold in San Francisco bank and becomes target for assassination. Shanghaied and put on board a ship bound for Liverpool. The ship is rife with plots from mutiny to piracy. Tungee joins the skipper and they crush the mutiny. They round Cape Horn and make their way up East Coast of South America to St. Katherine’s Island. 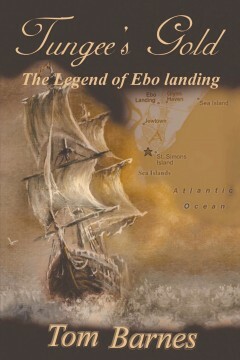 At St. Kat the scurrilous ship owner issues new orders, and sends the ship to West Africa for another slave run. In West Africa 350, Africans are herded on board. Back at sea a British and American warship give chase. The skipper elects to dodge into a heavy storm where winds and rain batter the ship, but they manage to survive. After the storm, some slaves are allowed to stay on deck. Tungee observes the Africans doing various rituals and incantations. Is it voodoo or witchcraft? Nobody knows, and by the time they find out, it’s too late. A tribal king called Kumi had inspired scores of his people, to make the ultimate sacrifice for freedom. Tungee returns to San Francisco and begins his quest to reclaim his fortune. During his search Tungee meets the lovely Laura Du Beck and romance blossoms.